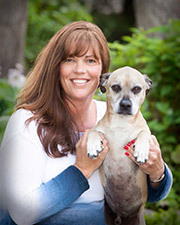 Lori A. McInnis, DVM. 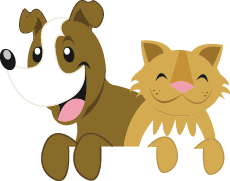 joined Oakland Animal Hospital in 2009. Originally from Niles, Michigan, she received her Doctor of Veterinary Medicine from Michigan State University in 1994. Dr. McInnis practices general medicine and surgery; in addition has a special interest in dentistry. After graduation, Dr. McInnis moved out East to experience the single life in Connecticut and Massachusetts. In 1998, Michigan called her back when “the love of her life” contacted her again. In nine short months she was engaged, married and living in Macomb County. She worked in the Rochester area for several years; but moved to her husband’s hometown of Marysville. After working on that side of town for four years she decided to return to the Rochester area. “All I ever wanted to be was a veterinarian. I enjoy medicine and surgery, but most of all, I love interacting with people and their pets, being there through the good times, and helping them through the sad times. As my first boss once said, I guess I have a warm heart for cold noses,” states Dr. McInnis. Dr. McInnis has been married for over eleven years, and has two children, Brendan and Caleb. They have a sweet little, pooch by the name of Otis. In her free time Dr. McInnis enjoys reading, listening to books on tape and “just hanging out” with her family.